Anne, Marguerite, Judy, Bobbie, Jody and Jim were in attendance. We practiced rounds and call changes to help Bobbie get up to speed and then Marguerite called the Tenor down to the front and back successfully. We practiced Plain Hunt on 5 for Bobbie to contemplate. Jody’s son and his 3-year daughter were welcome guests who remained engaged and quiet throughout the session. Practice, practice, practice! 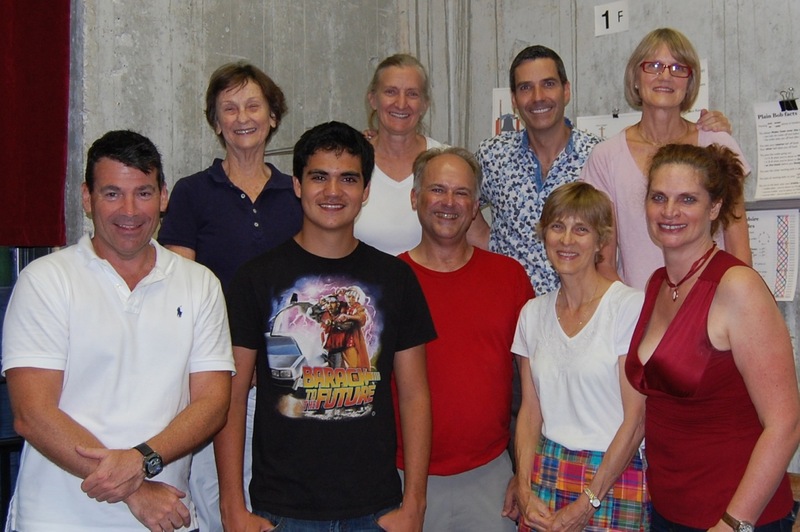 The Miami Guild of Change Ringers bid a fond adieu to Bell Tower Captain Thomas Alspaugh this evening. The band met for its regularly scheduled practice where Thomas led the group in hunting, call changes and then ringing down in peal. Following a couple goodbyes from folks who weren’t able to join us, band members headed across the street to Mike’s Irish Pub for dinner and a round or two of beers. Just like a practice night in the tower where something comical always happens … We find out that Mike’s was without draft beer! Seriously, an Irish pub without draft? We made the best of the situation and ordered bottles all around, less Rob’s iced tea. The seven of us toasted Thomas, wished him safe travels, and thanked him for his years of service. Ciao Thomas!